Although its name suggests otherwise, The Green Citadel in Magdeburg isn’t green. It’s pink. With splashes of red, yellow and bright primary colours. 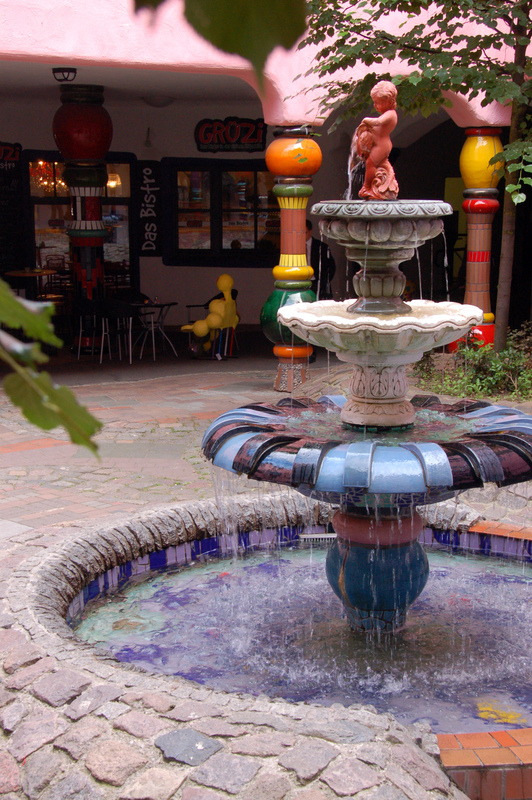 It was designed by Austrian architect Friedensreich Hundertwasser and is just one of the excellent reasons for visiting Madgeburg. 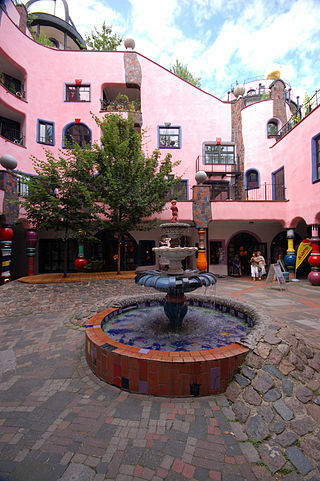 Hundertwasser, who was born in 1928, started his career as a painter but by the 1950s was involved in architecture – and it was very largely his own special brand of the discipline. 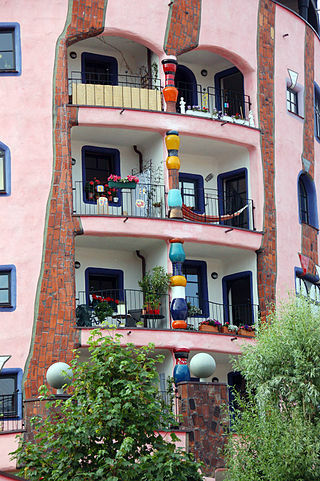 Hundertwasser believed that the buildings that enclose us – at home, at work or at leisure – are our ‘third skin’. The first of course is the natural skin we were all born with. The second is the clothes that we wear. But the third skin is created by the buildings that contain us as we live, work and play. He believed that therefore, buildings should be designed in a way that enhances and adapts to the human body. That the places we inhabit should be able to reintroduce us to the natural world. Hence the concept of Grüne Zitadelle, the Green Citadel, was born. It was built posthumously. 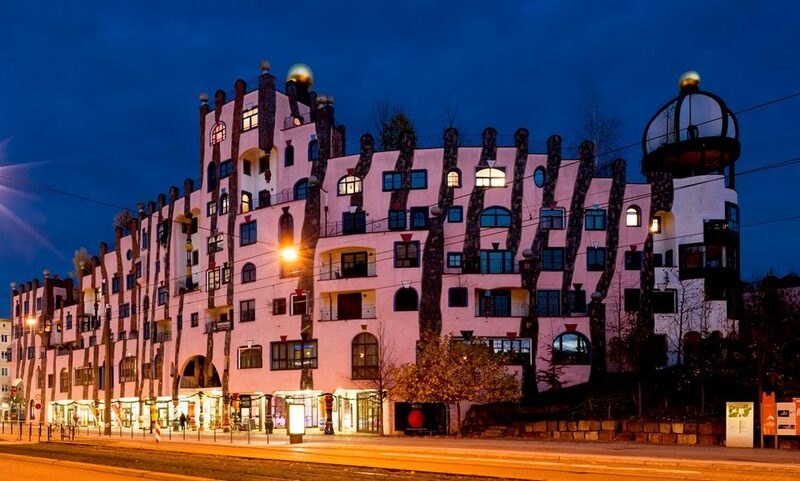 The architect died having already created all the plans for this astonishing building and it was created to house apartments, commercial offices, restaurants, shops, a hotel, a concert area and more. The video below gives you some idea of the spirit and beauty of the place. Grass and wildflowers grow upon the roofs. Visitors are welcome to explore the public areas of the building, eat in its restaurants, examine goods in its shops or relax with a drink in one of its coffee shops or bars. Today, even guided walking tours are available. Where is the Grüne Zitadelle ?